The Professional Standards Division is comprised of three (3) main areas; Training, CALEA and Internal Affairs. We also handle all Sheriffs’ Standards notifications and paperwork as the need arises. The Training Section is staffed with a Lieutenant, three (3) Sergeants and a Senior Office Assistant who are responsible for ensuring all sworn personnel, detention officers and telecommunicators maintain their certification through Sheriffs’ Standards. The Lieutenant oversees the entire Section and each Sergeant is responsible for a different area; Enforcement, Detention and Firearms training. The state requires a certain number of mandated training hours for each position and it’s the Training Sergeants job to make sure we offer or provide this training to our staff. The Training Section is also responsible for fielding all school or training requests made by officers to attend classes or seminars held by local community colleges or in other jurisdictions. We hold our own Detention Officer Certification Course here at the Sheriff’s Office and usually run three (3) per year. We also host other training classes at the Sheriff’s Office and the Training Section is responsible for the logistics and scheduling of all contractual services. CALEA stands for the Commission on Accreditation for Law Enforcement Agencies. 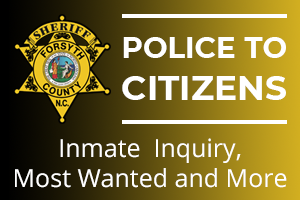 Currently, we are 1 of only 5 accredited Sheriff’s Offices in the state of NC. The accreditation office is staffed by one (1) civilian employee. The Sheriff’s Accreditation Specialist (SAS) is responsible for guiding the Agency through accreditation with the help of numerous Subject Matter Experts (SME’s) throughout the Agency. The Sheriff’s Office was awarded our initial CALEA accreditation on July 31 st 2010. We were reaccredited in 2013 and awarded our second reaccreditation in July 2016 at the National CALEA conference in Baltimore, MD. 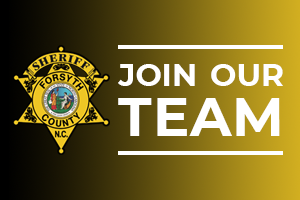 Achieving accreditation identifies the Forsyth County Sheriff’s Office as one of the most professional law enforcement agencies in North Carolina and the United States. CALEA accreditation requires the implementation of policies and procedures in staff and line functions making us not only professional but responsible and accountable for our actions. The Internal Affairs Section consists of a Lieutenant, two (2) Sergeants and a Senior Office Assistant who are responsible for investigating the majority of internal and external complaints or allegations of wrongdoing. One (1) Sergeant handles the complaints or investigations for the Enforcement Bureau and the other Sergeant is a non-sworn detention officer who handles the complaints or investigations for the Detention Bureau. They’re both managed by the Lieutenant who takes an active role in investigations from both Bureaus. The investigators assigned to the Internal Affairs Section seek to determine if the officer(s) involved in a complaint or inquiry have violated any FCSO policies and/or procedures. Once the investigation is complete the facts are presented to the senior command staff for a determination on discipline with an emphasis on consistency. Additional specific information pertaining to the incident, i.e. vehicle number, registration plate, location, direction of travel, etc. 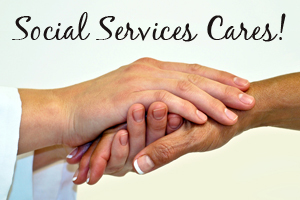 Complaints can be addressed immediately by contacting the Internal Affairs Section by phone, mail or email. When the investigation is completed, you will receive notification in writing. It should be noted we cannot provide you with information regarding disciplinary actions taken against an employee pursuant to North Carolina General Statutes pertaining to privacy of personnel records.